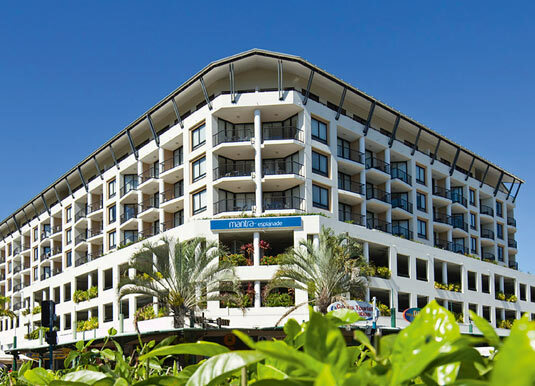 Located on the waterfront, Mantra Esplanade Cairns is just minutes from the yacht harbour - the gateway to the Great Barrier Reef, lively street cafes, fine dining restaurants, the casino and Cairns Esplanade lagoon. The resort itself boasts spacious and contemporary rooms and apartments along with a lagoon style pool, fully equipped gym and lovely restaurant. 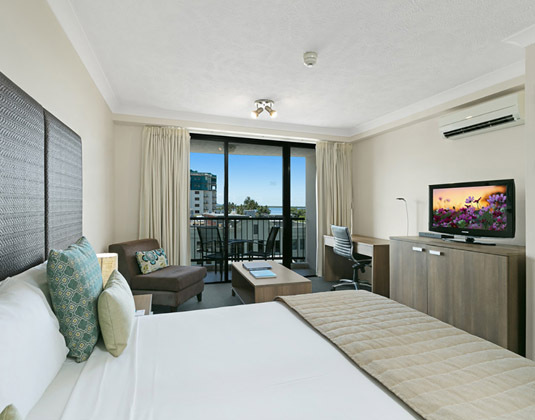 In city view rooms with bath/shower, fridge, safe and balcony with sweeping views across the city and distant hinterland. One bedroom city view apartments with kitchen and separate living and dining area. One bedroom ocean view apartments.